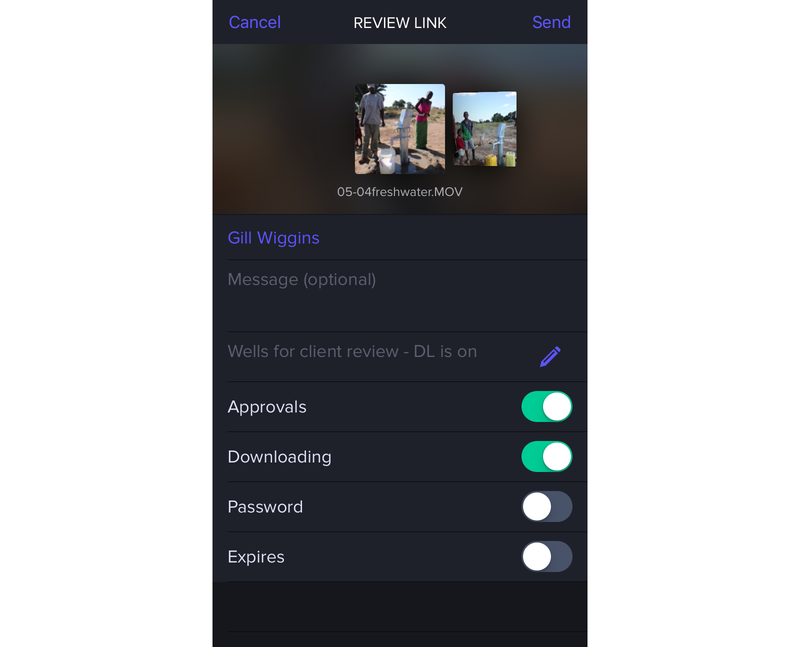 Easily share a Review page from the iOS app to allow your clients to leave comments without creating an account. See the difference between a Review page and a Presentation page. Please note: Collaborators do not have access to Share as a Review Page, only Team Members can perform this function. To get started, click the purple share icon on the top right and select Review Link. The clips you select will be marked with a purple checkmark. 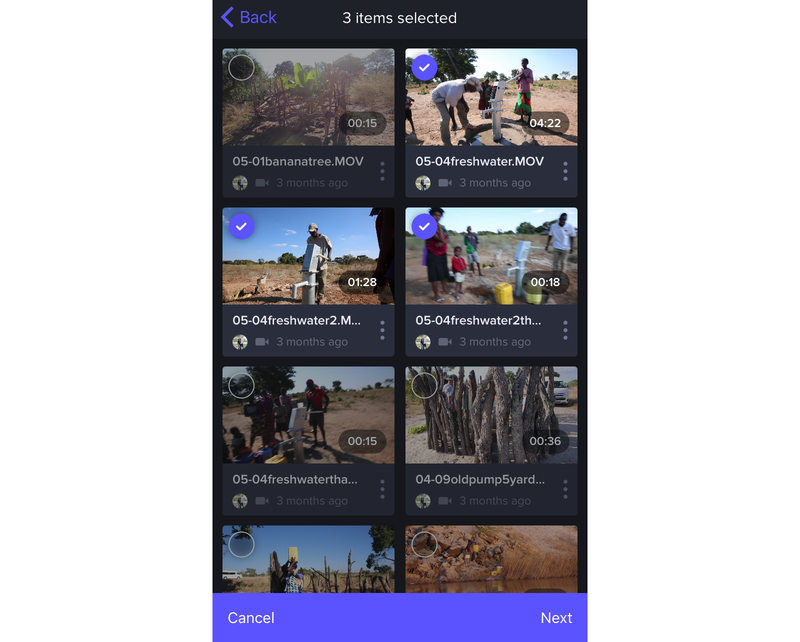 You can select multiple clips or a single clip. Once you've finished selecting your clips, tap Next on the bottom right. Share the Review Link by tapping Add Recipients, select Team Members, search for other users or enter their email addresses. You can also send a personalized message along with the link if you wish. 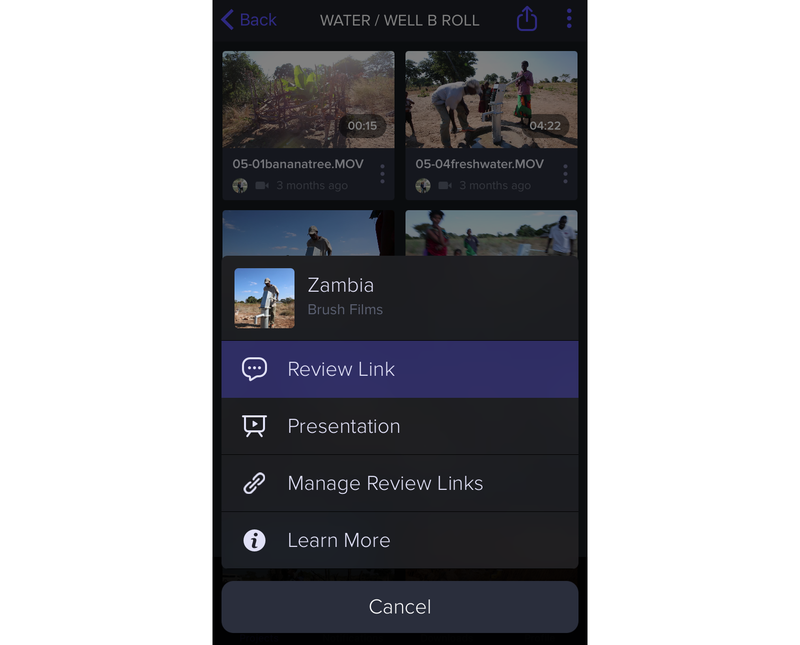 Customize your Link Settings from the iOS app by renaming the link, allowing viewers to approve clips, enable downloading, password protect and set an expiry date on the link. To manage your links within the iOS app, click the purple share icon on the top right then Manage Review Links. You'll have the option to Open the link in Safari, Deactivate the link, access your link settings, make a duplicate of this link, edit the content within the link or delete the link.